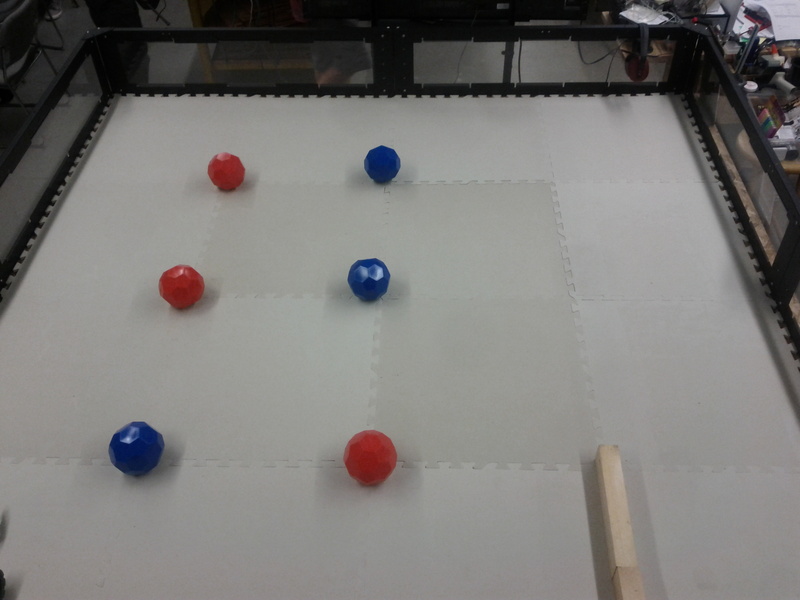 The object of the game is to have your robot move as many balls into the goal in 60 seconds. Each ball is worth 2 points. The game is played on an 8 feet by 8 feet playfield. More balls may be added to increase the level of difficulties.